Is that a breakout? 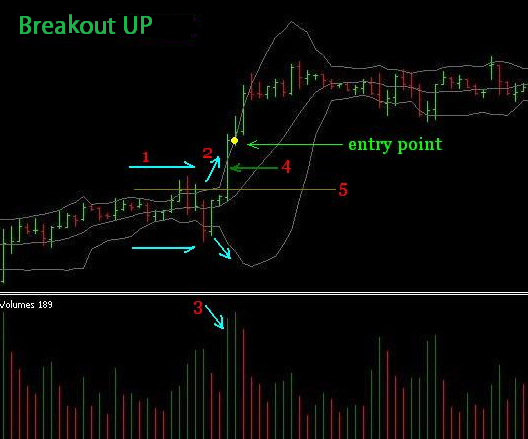 Breakout is a long movement in a short time carried out by the graph after successfully breaking the boundary of the price range. 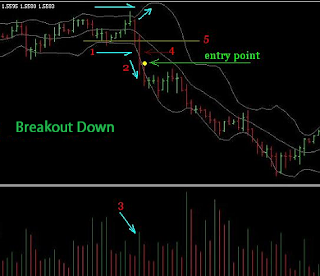 Analyze forex trading by using the excess breakout strategy is in addition to generating large profits in a short time (because the market moves long), also the price really moves one direction, meaning that prices are guaranteed to move according to our predictions. However, for the forex trading scalper, the price obtained when entering when the break occurs is considered to be late. They considered that the breakout was half the trend trend. 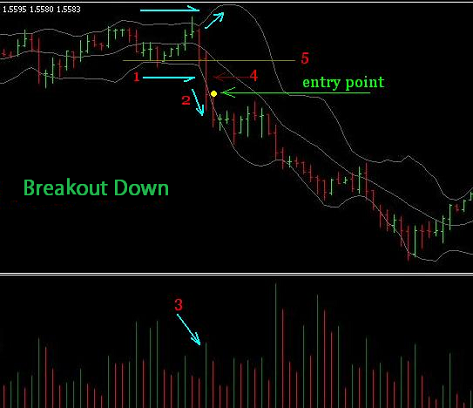 Therefore, if you use a breakout strategy in forex trading, it is advisable to transact in amounts greater than normal transactions. So even though the breakout occurs in half the trend, the results are the same as getting a trend. 1. It is preceded by a horizontal bollingerband line or tends to narrow. 4. Candle when there is a break greater than the previous candle, but not too extreme, it is also a candle of the type of continuation. 5. Candle when a breakout occurs will rise higher than the previous graph, on the contrary when a candle breaks down from the previous valley. The entry point is when the next candle has just formed. That means the price is still around the open price. 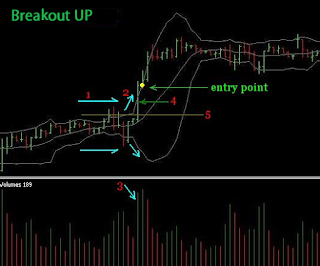 That's how forex analysis determines the breakout. In essence, for a breakout to occur, there must be a penetrated boundary (support or resistance) with a strong force to penetrate it, which is a large volume.